October seems to be the new August with high temperatures and more than the normal degree of sunshine. According to the met office we have seen a 170% increase in the sunshine from last October with only 20% of our usual rain fall. With the next high pressure system rolling in I was pleased to be heading to the mountains. 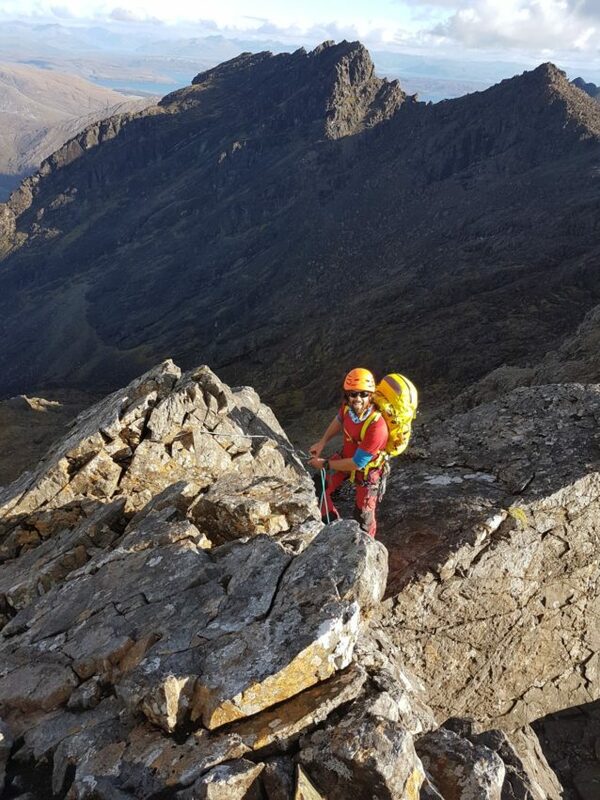 Skye did not disappoint with hot rock, t-shirt weather on the ridge and I even managed to find some drinking water at the bivi site (thanks to Mr Cullin aka Mike Lates). 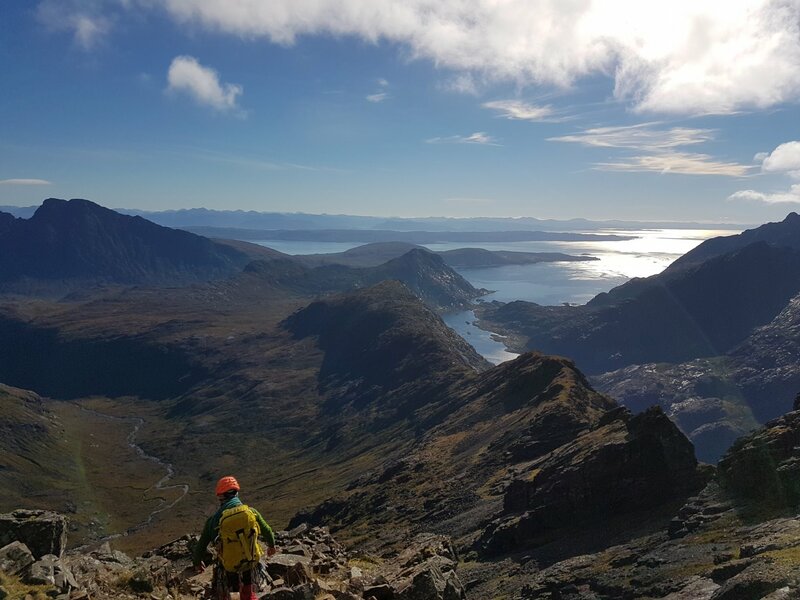 Well done to Gordon who put in two long days to get across the mighty cullin ridge. 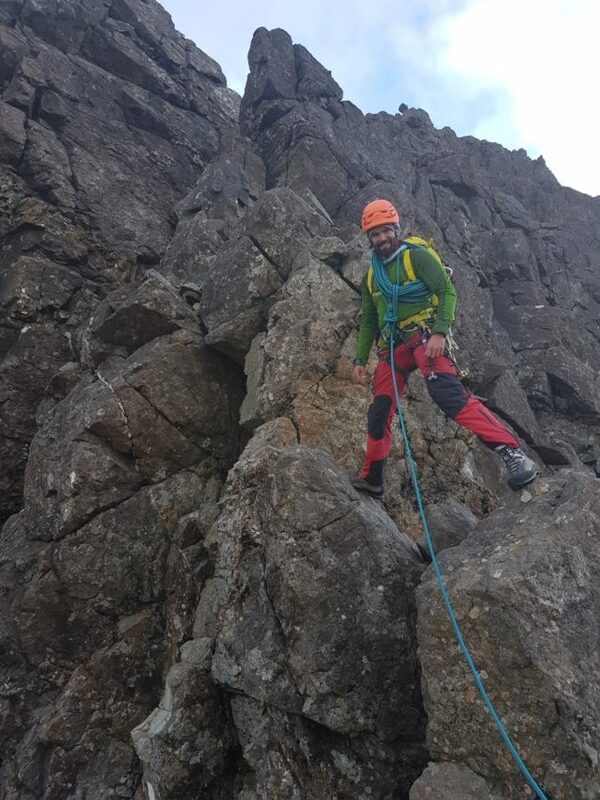 His phrase of the moment was “none of this really counts as hill walking, this is two days of solid rock climbing’. It really is non stop action from the word go, sections where you could go ‘ hands free’ as Gordon put it are rather few and far between.